Anas al-Husaiki resided in neither Al-Nour nor Al-Qaryah camps in Arsal, which were raided by the Lebanese Al-Majoqal Regiment on the morning of Friday, June 30, 2017. Husaiki, a nurse and father, was placed by fate before the Lebanese Army as he headed home after finishing his night shift at Al-Rahma Hospital in central Arsal. Lebanese Army forces arrested him, when his only crime was to cross paths with them by coincidence that evening. Husaiki was born in Al-Qusayr in 1985. He graduated with a specialization in anesthesiology from the Institute of Health in Syria. He was married and a father. His colleagues at work described him as well-mannered, smart and committed. He was working in Qusayr National Hospital before the Lebanese Hezbollah militia forcefully displaced him and his family in 2013. He joined the Syrian revolution at its inception and worked in an Al-Qusayr field hospital as an anesthesiologist. He did not carry arms and did not participate in any armed action. Abdul Halim, one of his relatives, said that Husaiki had no disabilities or illness. He explained that he was in good health and his security record in Lebanon was flawless, as Husaiki did not belong to any party or faction and held a settlement card from the Lebanese General Security. Husaiki was arrested on June 30, and on July 3 the Lebanese Army released a statement saying that he died in one of its detention centers. According to the statement, Husaiki died from a stroke, along with three other Syrian refugees who were detained. The Army explained their deaths as the result of poor health conditions interacting with climatic factors. 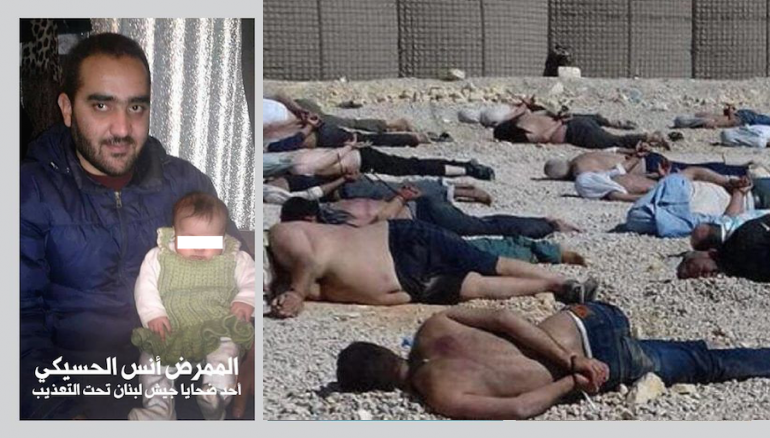 Zaman al-Wasl has previously published reports about the conditions and traces of torture found on the bodies of Syrian refugees which were handed over to their families. Husaiki was killed under torture by the Lebanese Army. There are still around 400 other Syrian refugees detained by the Lebanese Army and their fate remains unknown.